The laundry is probably the hardest working and likely to be the most underappreciated room in your home. Why not give it an extra bit of love? 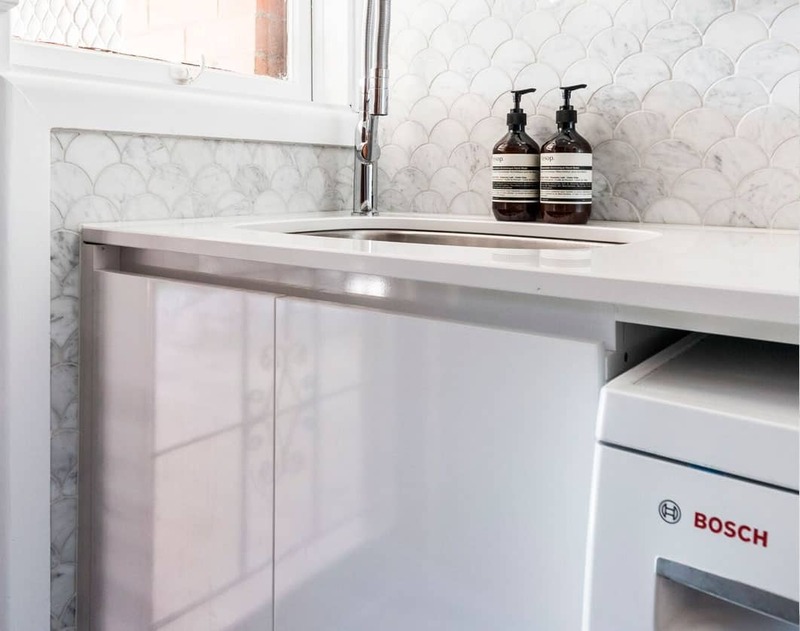 Investing in a well-designed laundry renovation means maximising storage in your space with clever design, creating a better layout for smooth workflow and making the chore of washing clothes just that much more enjoyable. 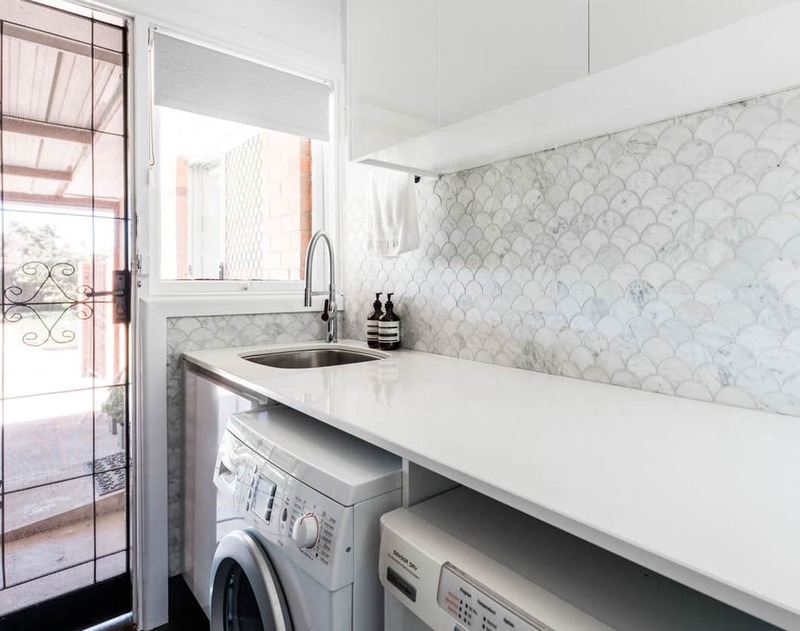 When our team apply our bathroom and kitchen renovation know-how to laundry renovations, the results are remarkable. Come and chat with our team about the innovations in laundry design, laundry storage solutions and laundry cabinetry today. 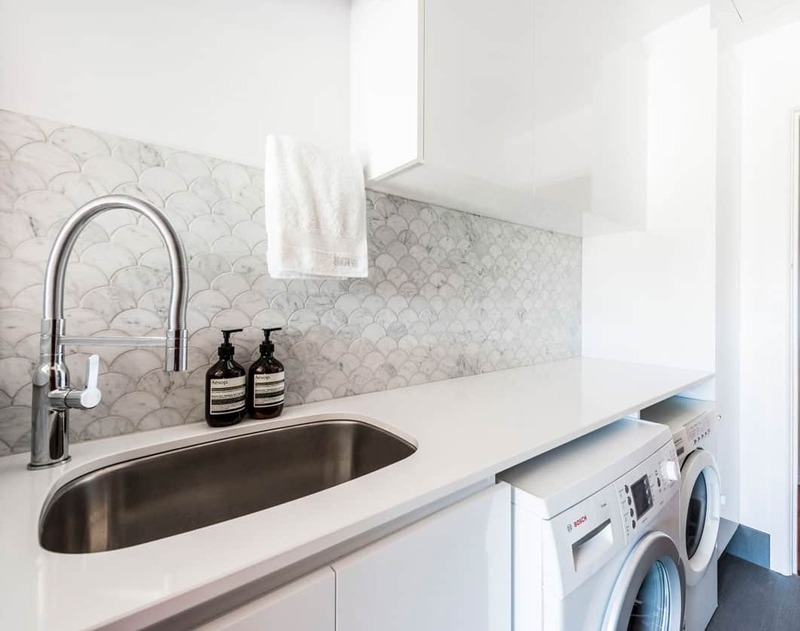 While we are known for award-winning kitchen renovations and bathroom renovations, we also have a wealth of experience designing and renovating laundry rooms. The initial stages of design and renovation are the same. Come visit us at one of our showrooms and speak with our designers about your laundry project. They will guide you through every stage of the renovation and see you through from nurturing the first inklings of ideas right until you are standing in your sparkling new laundry. While researching, we encourage you to collect images that inspire you. A great place to start is our image gallery. Whether it’s an entire new laundry room or a compact European laundry, we’d love to chat to you about your project. The cost of renovating your laundry will vary according to your space, the design and the materials that you choose. 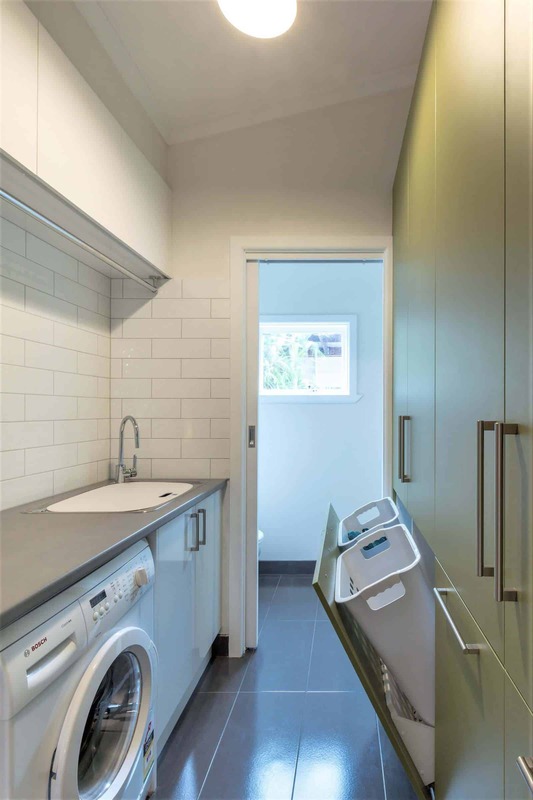 All of our laundry renovations are bespoke and designed individually so costs will vary. 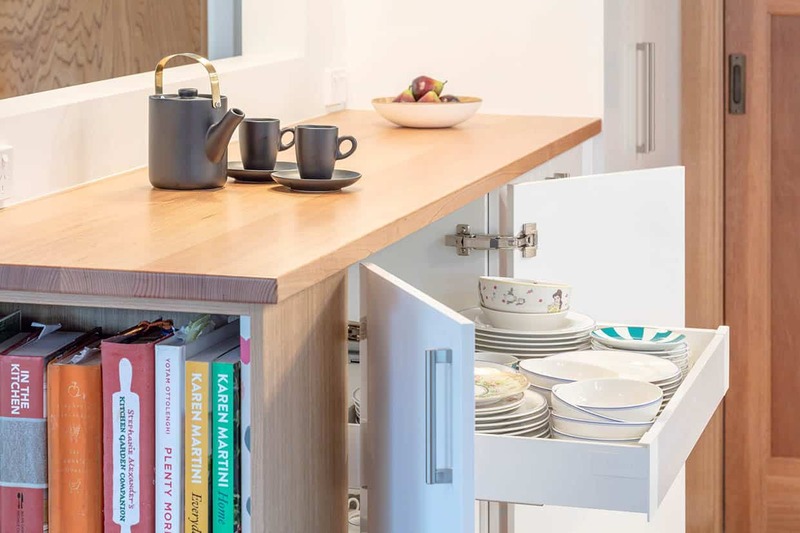 Modern laundry rooms can incorporate lots of smart storage options, space saving joinery and even built in ironing boards and laundry baskets so you’ll have lots of options to consider. 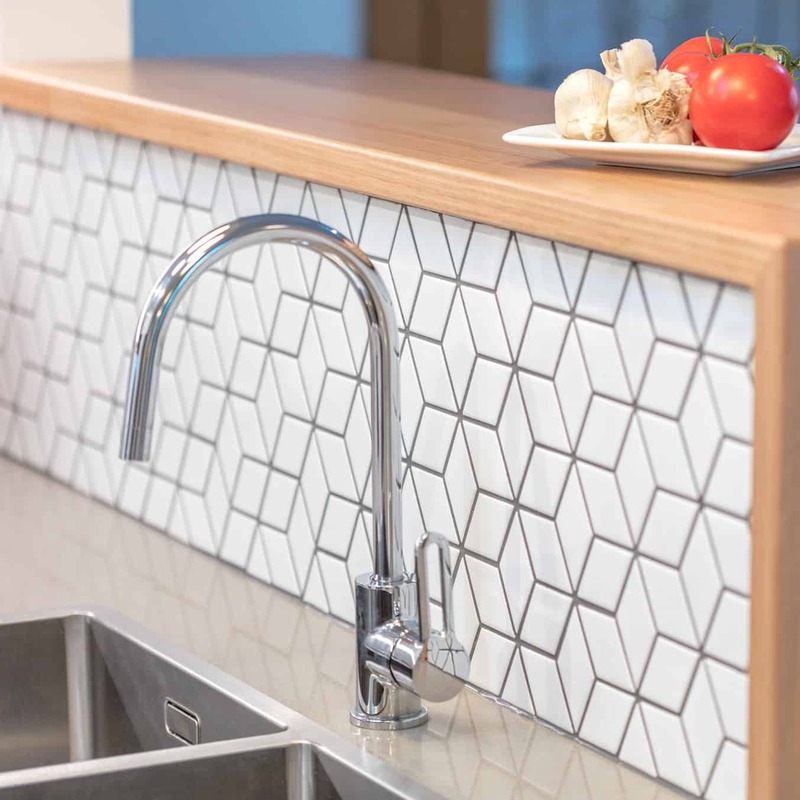 Our clients often choose to undertake their kitchen and laundry renovations or bathroom and laundry renovations at the same time. This allows us to choose materials and design ideas that will flow through multiple rooms. Often renovating multiple rooms together will lower costs per room. 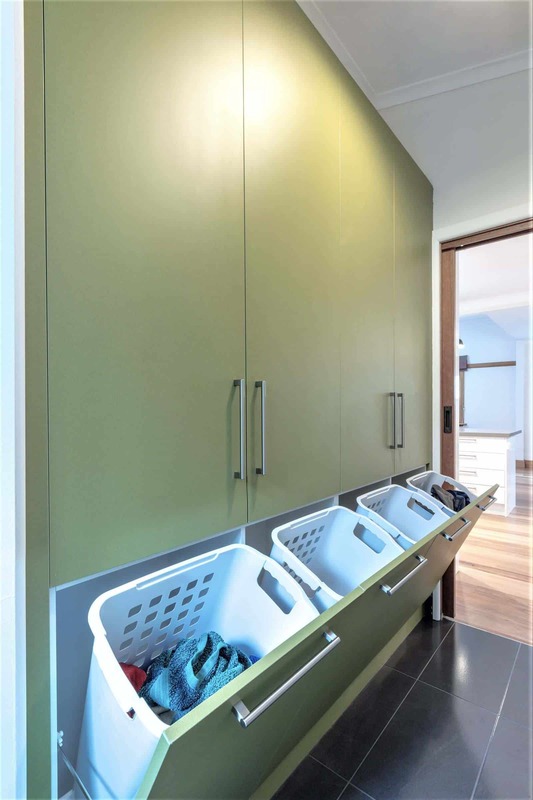 Let us use our laundry design expertise to help you work to your budget.